A grey blazer is an essential menswear item that every gent should own. Whether you’re dressing for the office, a formal function, cocktail drinks or even a casual dinner, a grey blazer makes an excellent option. Far more versatile than traditional black, a grey blazer can be worn with many looks. 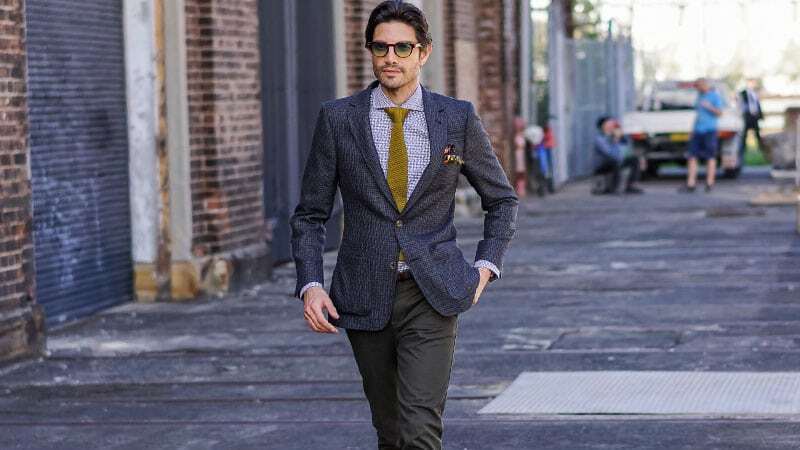 Although this means that there are plenty of outfit options for this sophisticated and stylish jacket, you’ll still need to know what to wear with your grey blazer for the best look. 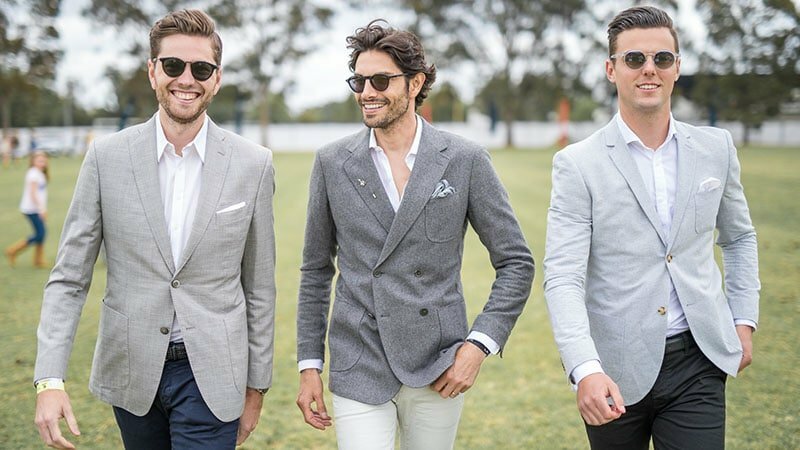 While many blazers can appear heavy when worn in warm weather, soft grey styles look bright and breezy. 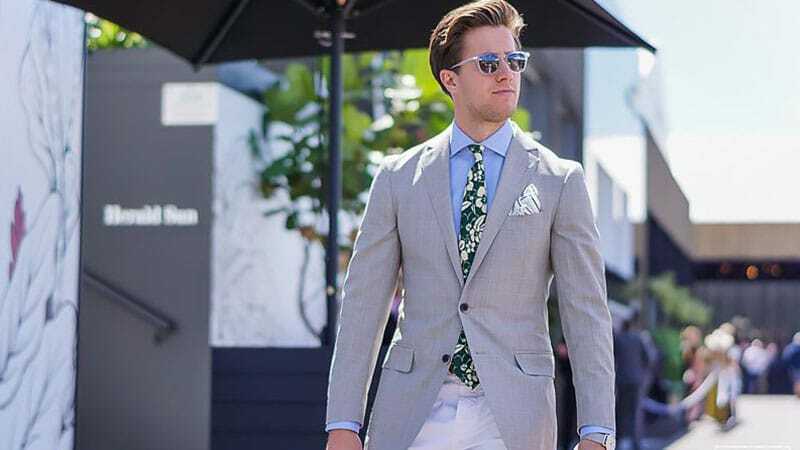 As such, a light grey blazer is a perfect option for functions throughout summer and spring. To nail the look, just remember to keep the rest of your outfit in similar tones. Try opting for white trousers with a light blue shirt for a fresh look or beige chinos with a white shirt for a slightly warmer appearance. As black shoes can appear overly dark when paired with softly coloured pieces, consider choosing brown or navy instead. A mid-grey blazer can be an incredibly versatile piece of clothing to own. Thanks to its neutral hue, a mid-grey blazer can pair well with both light and dark pieces. For example, the style can look just as dapper with a pair of plain white pants as it does with traditional black trousers. Likewise, the jacket can also suit navy blue designs and styles in shades of matching grey. No matter which pants you choose, just remember to keep the rest of your outfit clean and classic with a sharp white shirt. Although many gents overlook dark grey blazers in favour of lighter shades, the deep hued design can make an excellent option. Consider investing in a high-quality dark grey blazer as a stylish alternative to your usual black jacket. While still projecting a formal aesthetic, a dark grey blazer can appear more contemporary and exciting than a standard black style. Just remember to pair the piece with darker pants to keep from looking too top-heavy.